Since 2013 HAVA 3D is the French specialist and national leader for the distribution and commercialization of additive manufacturing solutions. Proud of our 20,000 customers in France and all over the world, we work hand in hand with companies from all sectors and all sizes. HAVA 3D, through its distribution entity, also focuses on a network of specialized partners and the biggest retail players to establish the leading manufacturers within the territory. Our involvement in the education also leads us to promote 3D printing and accompany more than 2,000 educational institutions in the formation of tomorrow’s players. Valued by our customers as well as our suppliers, our success is in line with a global accompanying approach throughout the whole integration process of the additive manufacturing technologies, far beyond the simple commercialization of material. Our qualified and dynamic team evolves with you around our 4 values, to better accompany you with your problems of integration: Expertise, Service, Performance, Innovation. Established in 2013, Hava3D group is specialized in additive manufacturing and serves more than 20,000 customers in France for their needs related to additive and digital manufacturing. Launched in 2017, the activity of Neofab focuses on the selling of complete solutions of Digital Manufacturing to industrial customers. On a growing market, Neofab relies on strong brands with a value-added service to serve a demanding customer base in the integration of solutions enabling the technological transition towards the industry 4.0. The market of additive manufacturing solutions is managed by a team dedicated to build a long-term relationship with their customers including Start-Up, SMBs, and major French companies. Sotec3D ensures the distribution of products manufactured by the biggest brands on the 3D printing market to resellers in France. Since 2015, the network of partners of Sotec3D has increased with resellers in the strong verticals of the additive manufacturing sector along with the most highly-specialized market sectors. The major brands trust Sotec3D to ensure the distribution of their products to those resellers, the training of the technical and commercial teams, and the national after-sales service of the distributed products. The entity also manages the European and worldwide distribution of a part of its own product range. Created in 2013, Makershop goes in for direct selling of the biggest brands on the 3D printing market to a large customer base of professionals and public institutions. 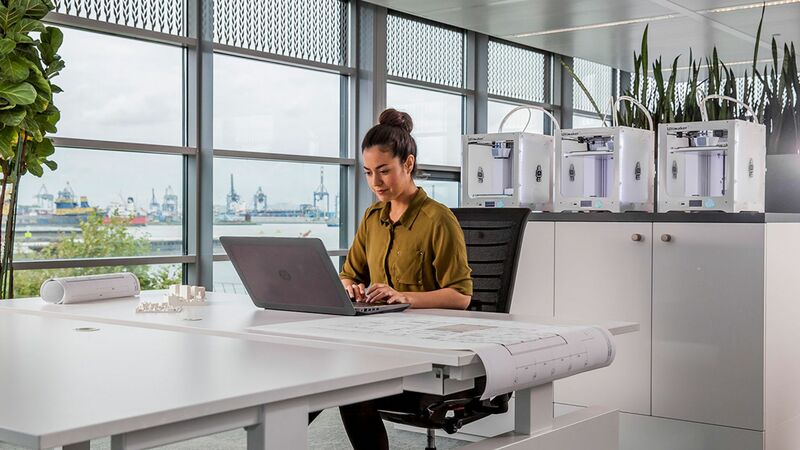 Leader on the market of professional desktop 3D printers, the entity experiences a consistent growth with a strong online presence and an active strategy of product listing to serve its customers on the entire French market in all sectors of activity. Makershop is known for its quality of service, its products expertise, and its responsive and professional customer service. Looking for a challenging job in a rewarding environment within a young and dynamic team? Mentions légales : Le site www.hava3d.com est édité par la société Hava 3D SAS au capital de 15 000 euros, dont le siège social est situé au 12 rue Hippolyte Lecornué, 72000 Le Mans, France. La société est inscrite au Registre du Commerce et des Sociétés du Mans sous le numéro 798 031 605 00024.